23andme’s value is getting a 50 pct booster shot thanks to its simple, affordable way of checking if you’re a high risk for Alzheimer’s and the like. Those who are may want more health, life and disability coverage. That will make the dysfunctional U.S. healthcare system worse. 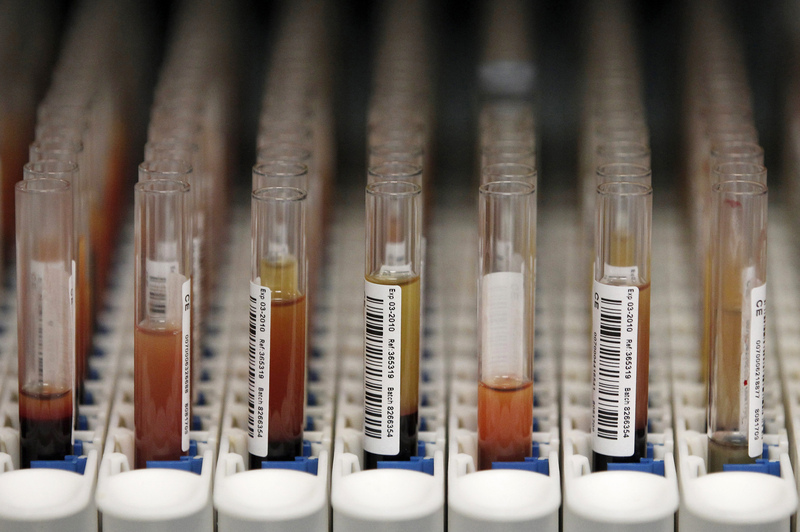 Blood samples wait to be processed at Biobank, the world's largest blood and urine sample freezer near Manchester, northern England, March 18, 2010. 23andme is raising $200 million of new equity from investors using a valuation of $1.5 billion, according to TechCrunch. The genetic-testing service, which Alphabet has backed, was valued at about $1 billion in its last funding round two years ago. After receiving Food and Drug Administration approval earlier this year, 23andme began notifying customers of genetic risk for 10 diseases. The FDA also said it plans to offer the company an exemption for substantially equivalent reports, allowing the company to market them without having to first receive approval. The 10 tests are for late-onset Alzheimer’s disease, Parkinson’s disease, hereditary thrombophilia, alpha 1-antitrypsin deficiency, carrier status report for Gaucher’s disease, Factor XI deficiency, celiac disease, 6PD deficiency, early-onset primary dystonia, and hereditary hemochromatosis. The company has subsequently added tests, and now informs users if they are carriers of genetic variants that cause more than 40 inherited diseases.